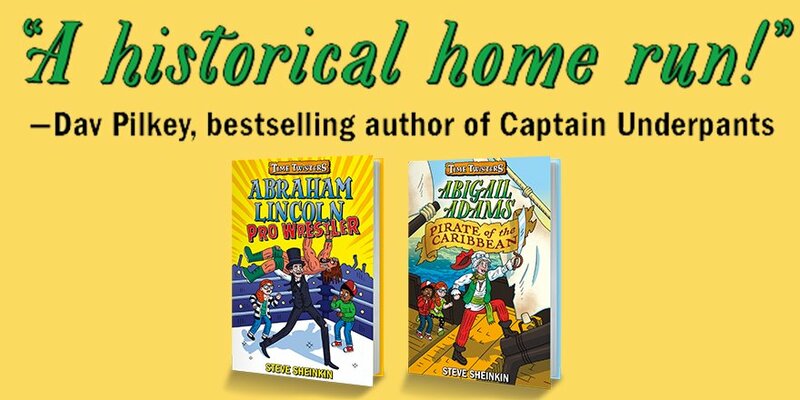 I’m back from two weeks on the road – introducing my new Time Twisters series at elementary schools all over the country. This short trailer get across the main idea really well. And I couldn’t ask for a better blurb than this one! Advance copies of Born to Fly! © Steve Sheinkin. All Rights Reserved.